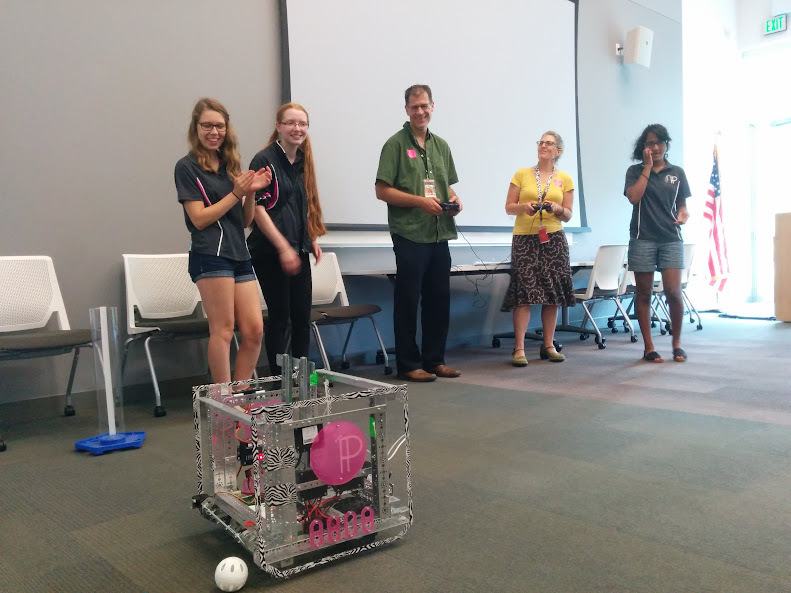 Every summer, Ramsey County Libraries hosts a summer camp called “Teen Tech Camp,” where teens have different STEM activities to do each day. 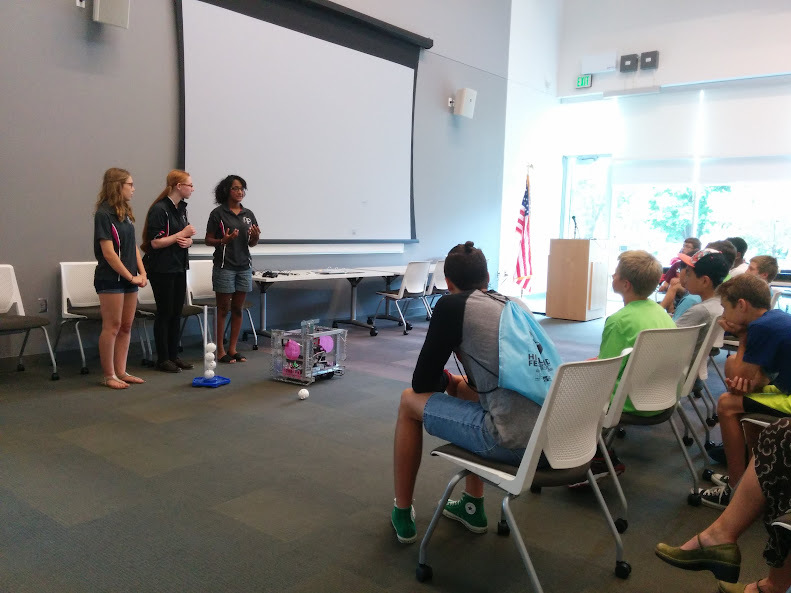 Prior to this specific demo, our team had showed our robot at the Teen Tech camp at the Maplewood library. 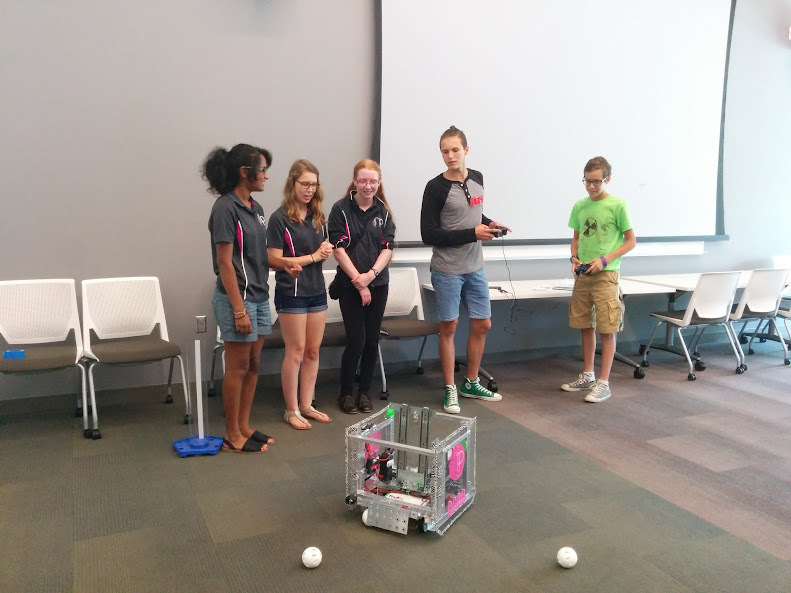 Our team learned they had another Teen Tech Camp at the Roseville library, so we decided that these teens would also be interested in learning a competition that involves STEM. 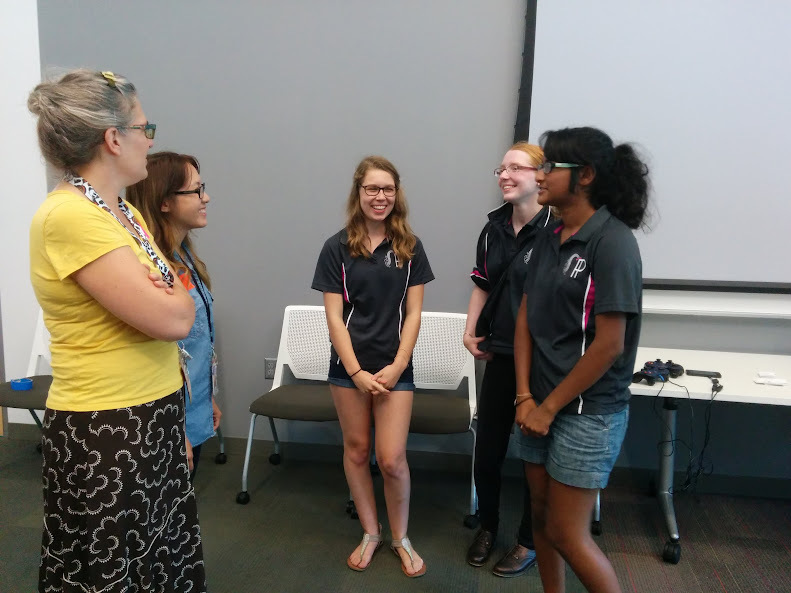 Since some of our team members had already done a Teen Tech Camp session before, we had a basic outline of what we wanted to say to these teens. A couple days before the demo, we talked to Sabriyah about the subjects she talked about at the previous Teen Tech Camp. With the information Sabriyah gave us, we decided the main topics we wanted to cover. First, at the demonstration an FLL team, The Screaming Lego People, explained what Lego League is about and demonstrated various missions of last year’s board. After they were finished, our team briefly described FTC, the challenge, and the elements of our robot. We also explained how the new Android platform operated and drove our robot around. Afterwards, we let the teens and teachers try driving our robot around! Many of the kids were interested in our robot and FTC, especially since a most of them were old enough to join a team. Although many were cautious to try driving our robot, after a few of their peers tried driving the rest slowly tried and enjoyed the new experience. At the very end, all of them made sure to grab a special Ponytail Posse sticker!